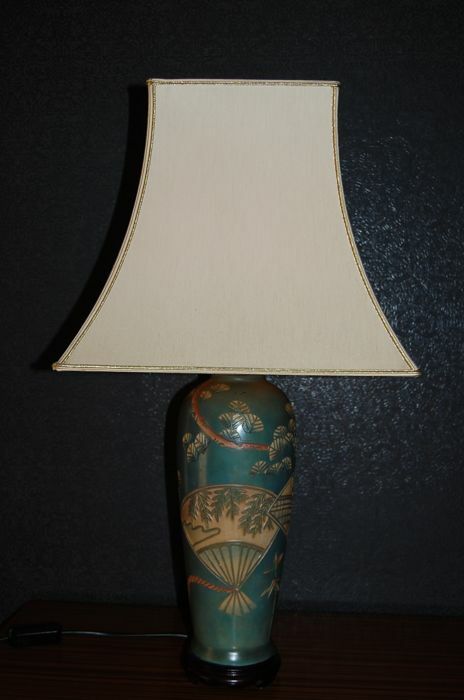 Beautiful table lamp with paintwork. 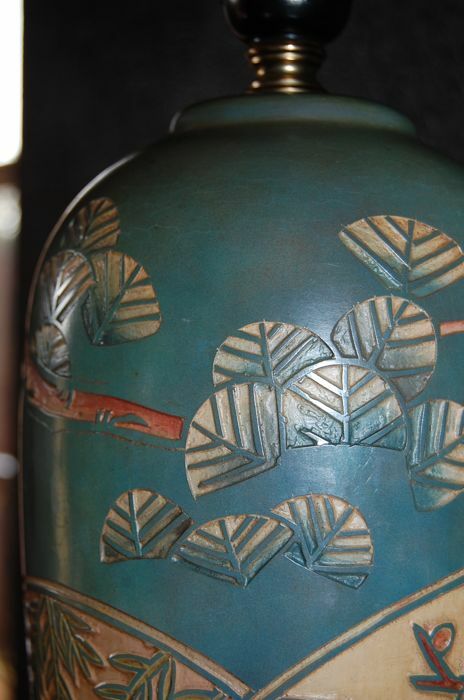 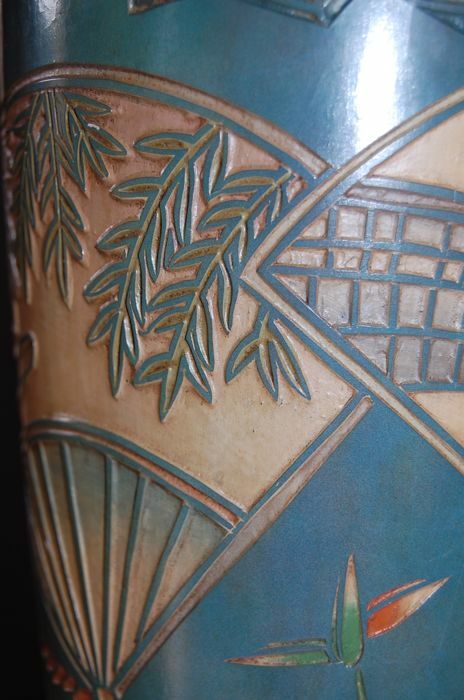 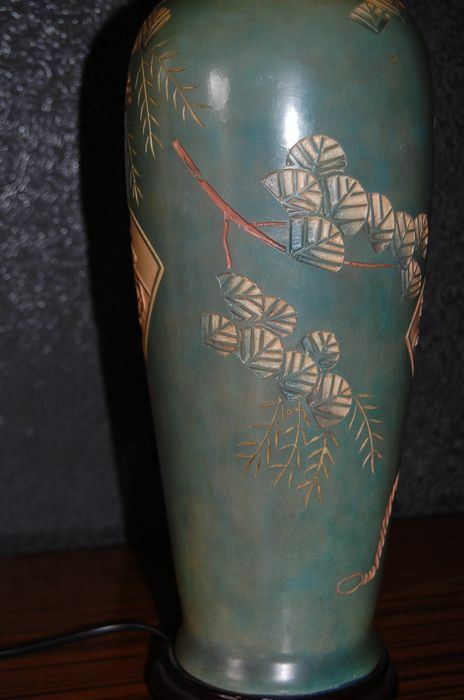 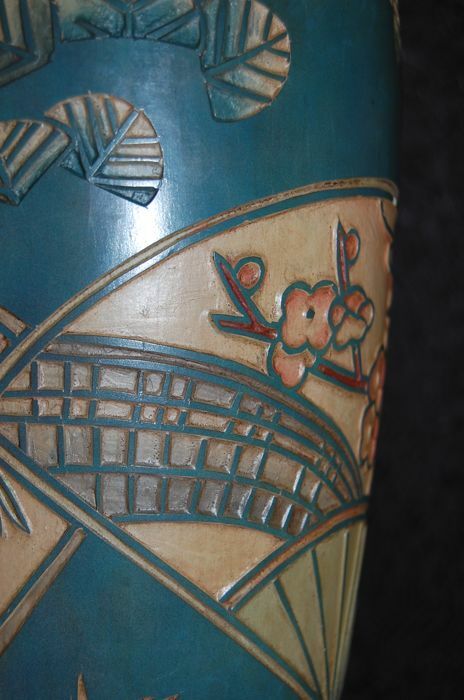 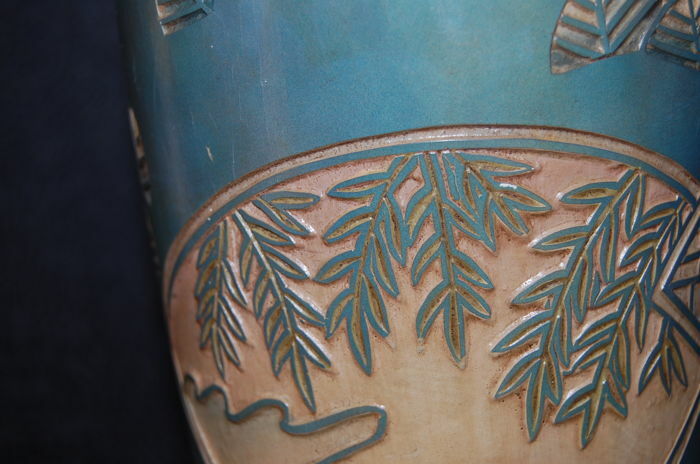 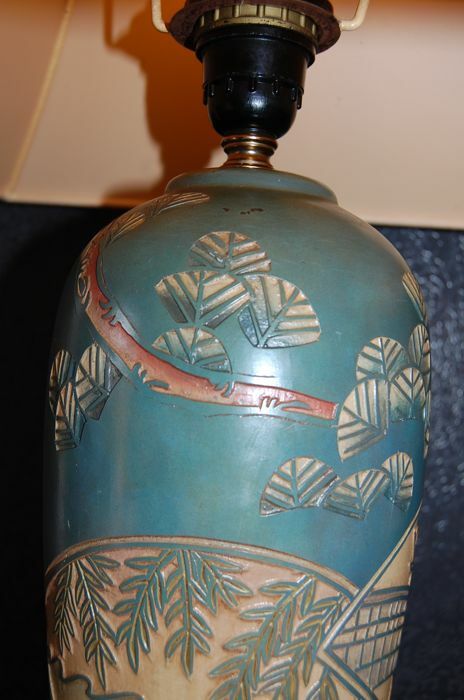 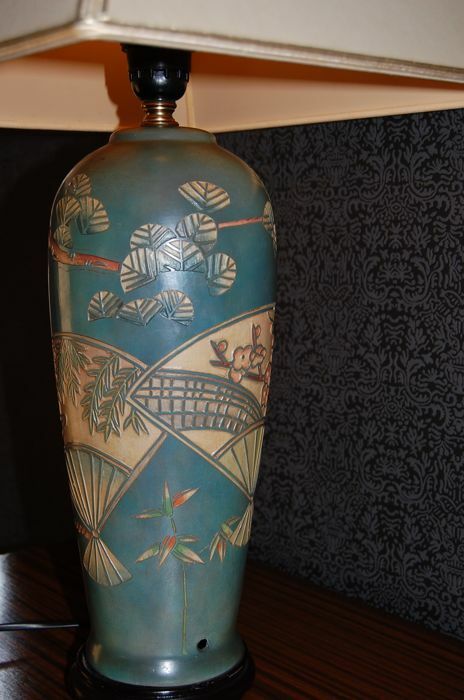 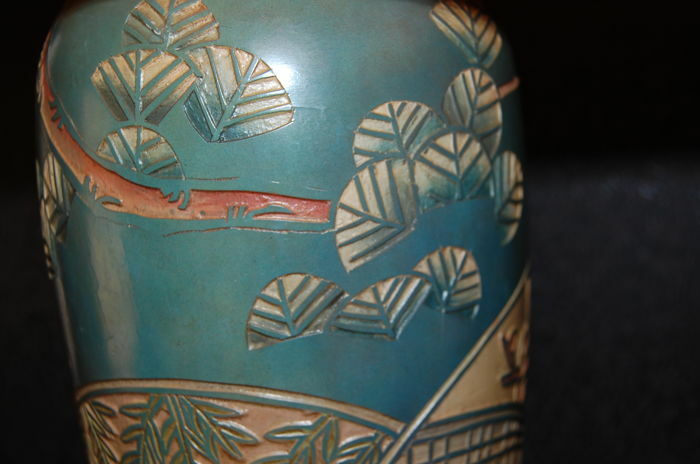 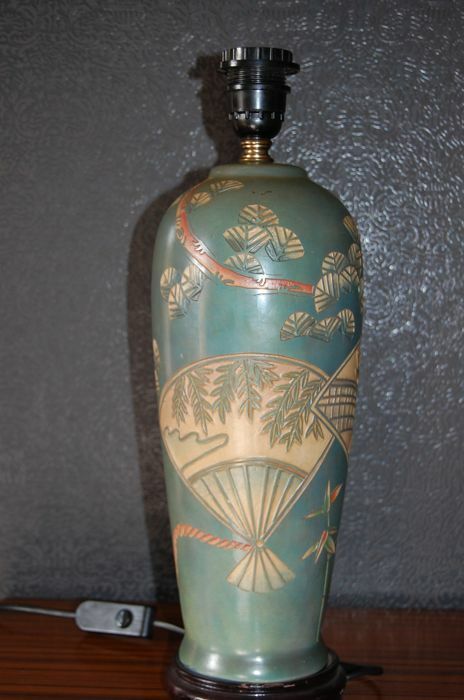 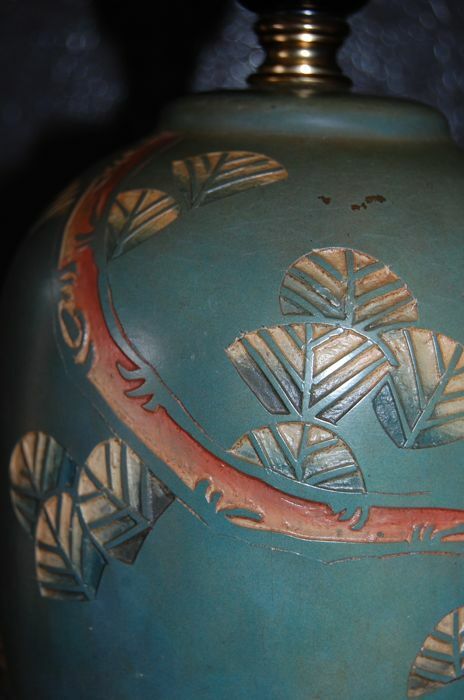 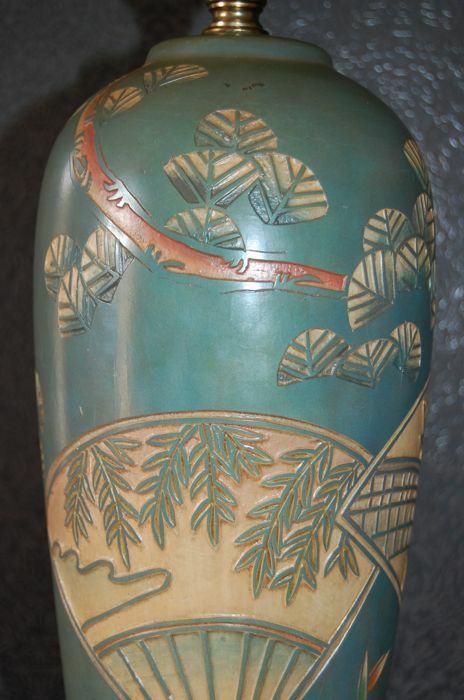 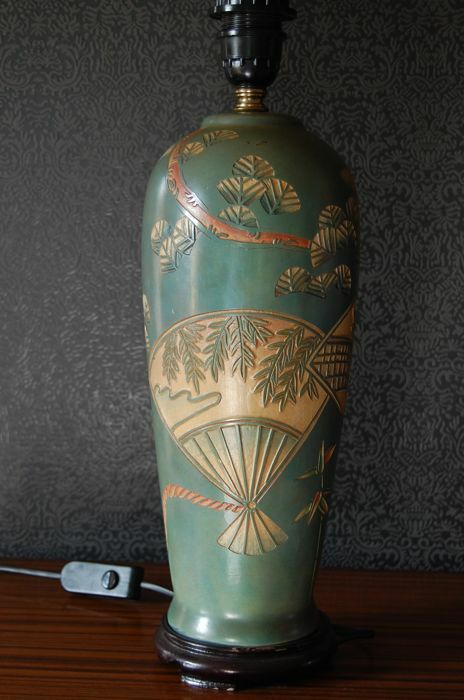 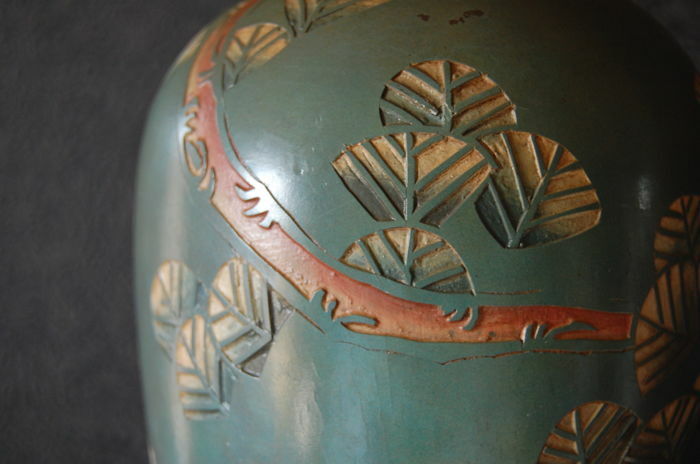 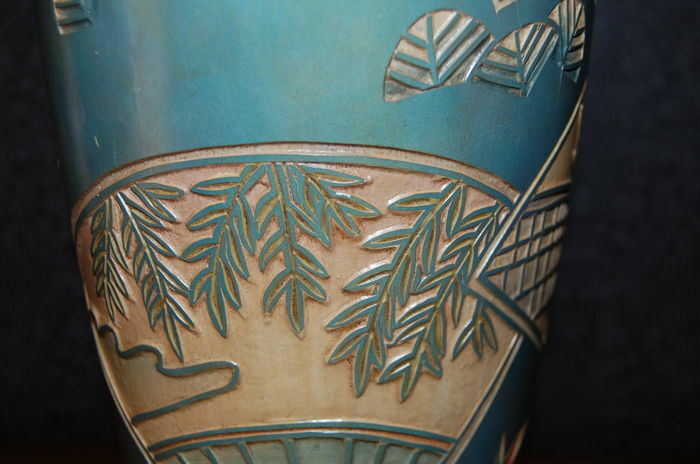 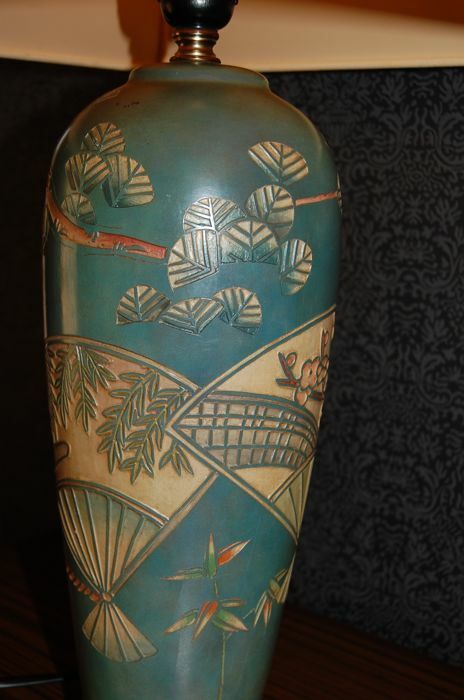 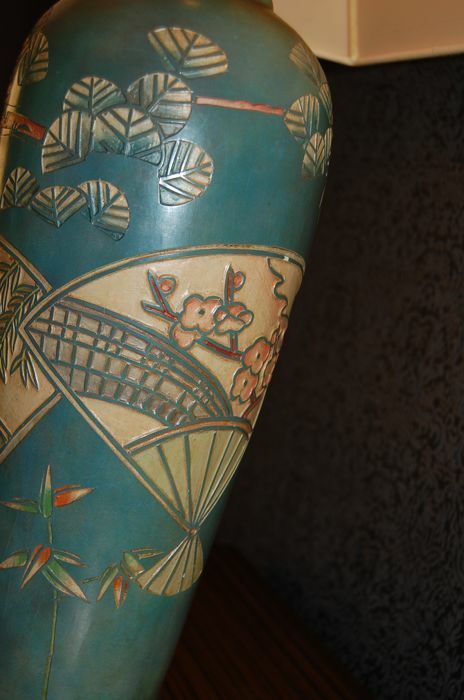 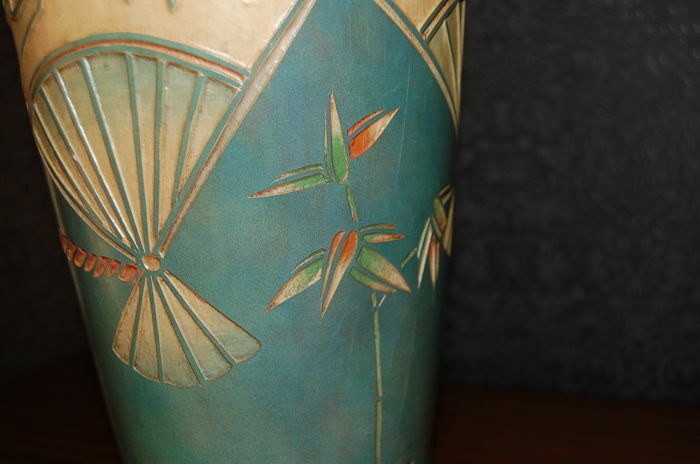 This layer of paint was tooled by hand and sculpted with oriental designs. 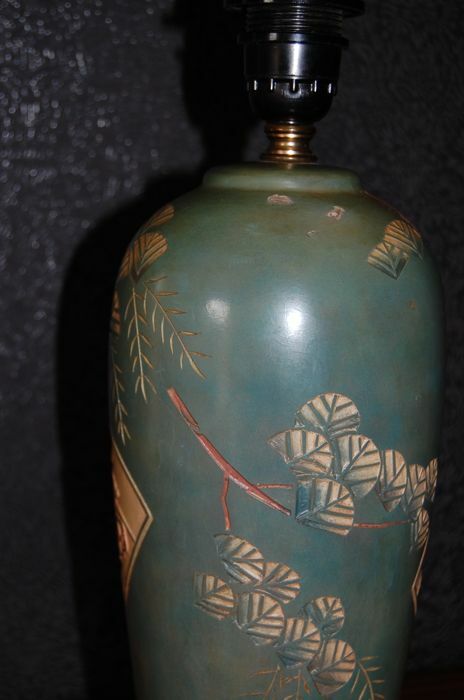 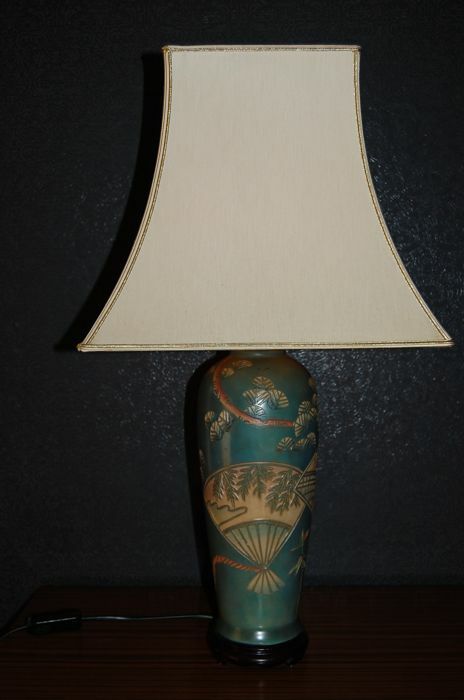 Very decorative lamp with a shade in the shape of an Asian tower/pagoda. 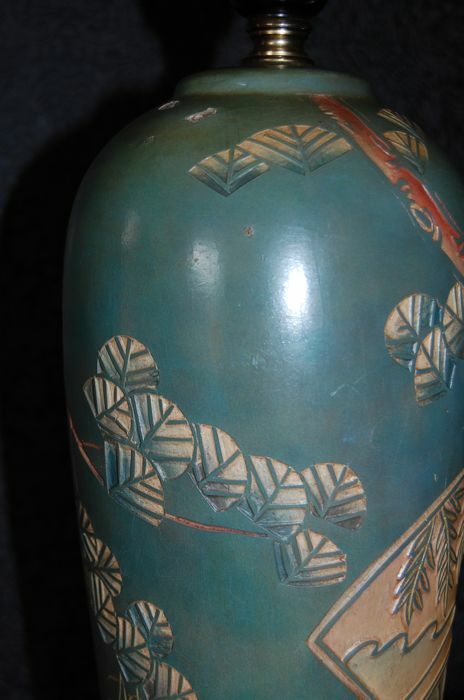 The paintwork of the base is still in very good condition. 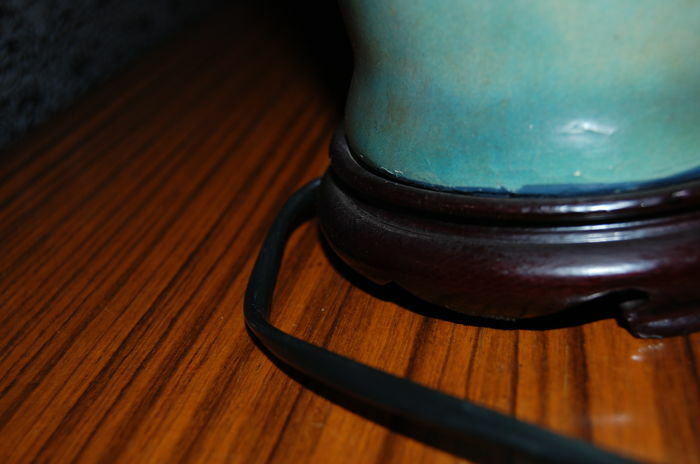 Only at the top, underneath the lamp shade, there are 2 small faults, please see the photo. 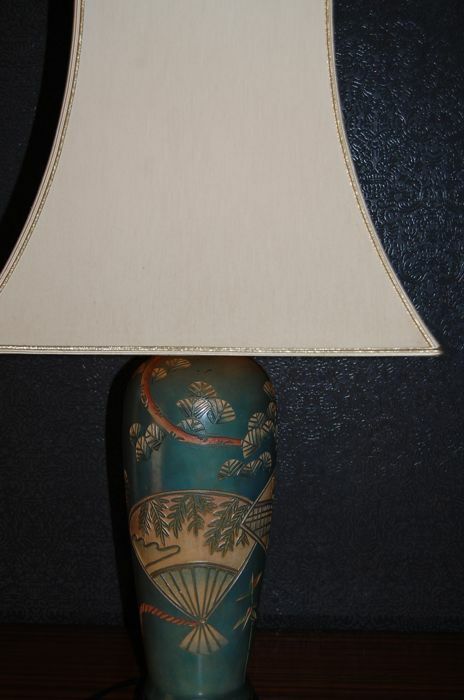 Hardly visible, they are underneath the lamp shade. 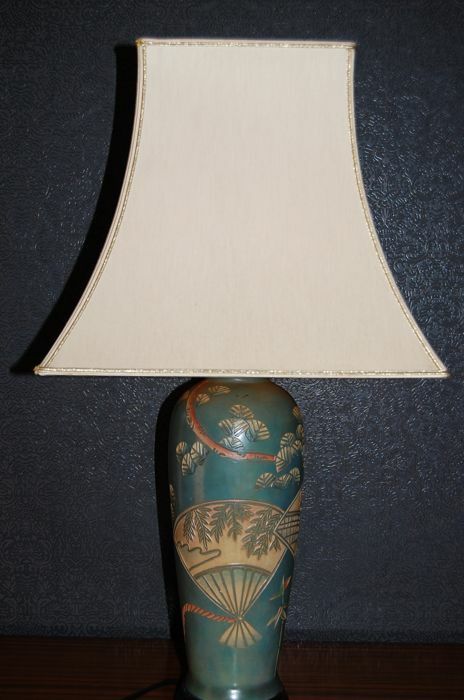 The base of the lamp is on a black wooden pedestal through which the cord is run. 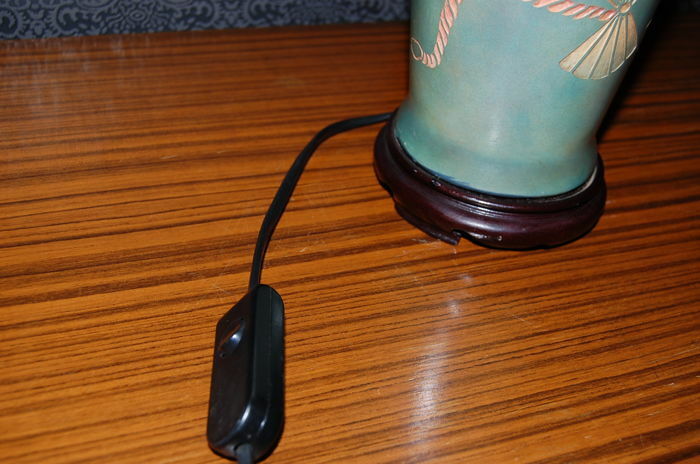 The cord has an on/off switch. 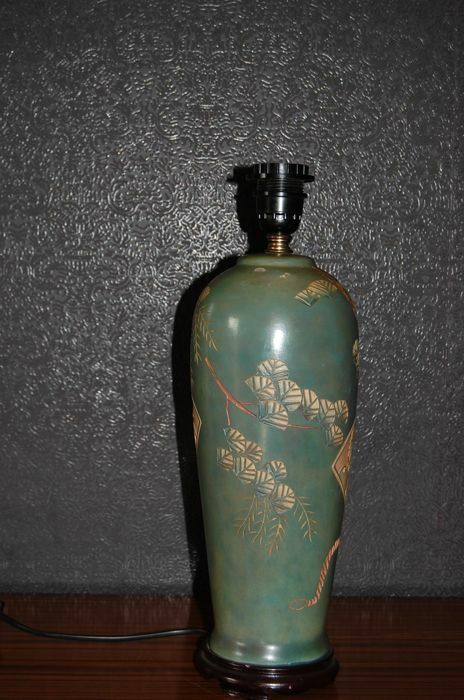 Height carved case/base without lamp holder: 38 cm. 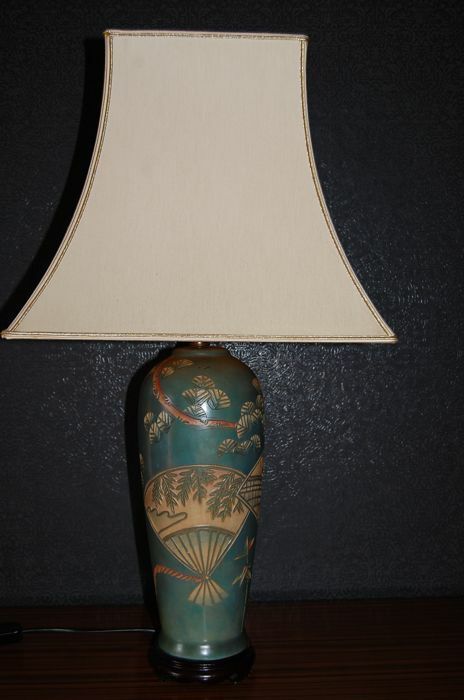 Lamp shade is finished with gold piping. 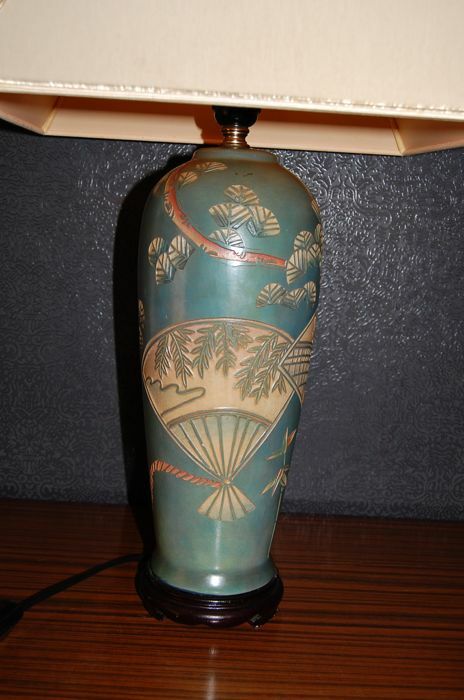 This beautiful lamp will be shipped insured, with track & trace. 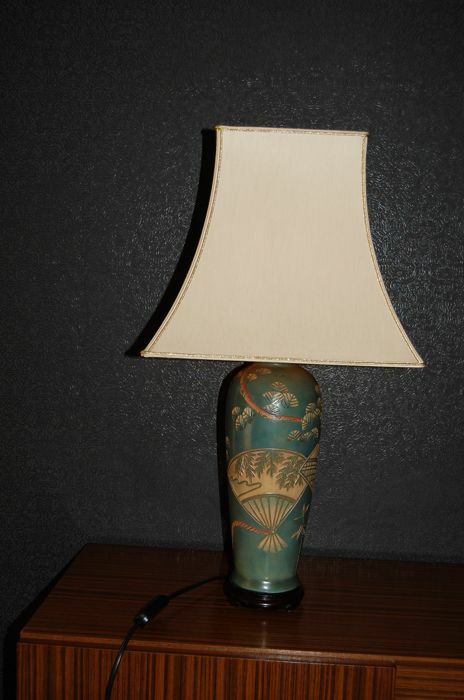 Sie können diesen Artikel auch beim Verkäufer abholen: Brecht, Belgien.